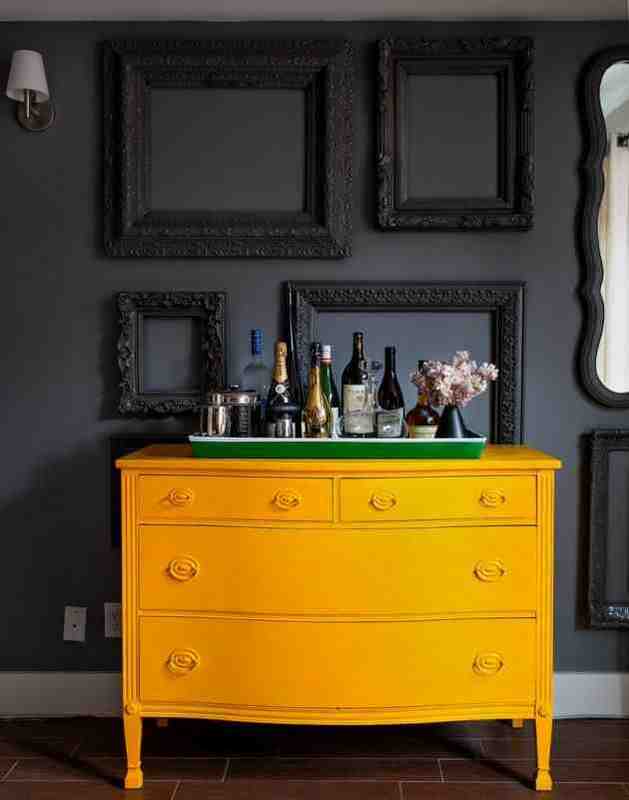 Be Bold With Your Feature Wall! Turn a forgotten wall into a new feature! Add patterned wallpaper, paint a mural, display your photographs and artwork. Use personal touches to create a unique feature, pick up the colours already present in the room and make it a space that you can't wait to come home to! It can double as a storage area if you add attractive shelving and display your trinkets and treasures there. If you only have a small space to work with then stick to a few key colours and don't go overboard with intricate patterns. Keep in mind the light quality in the room. Pictures and photographs look great when hung all together on one wall. Display a number of prints, artwork and photographs closely together on your feature wall. The more different the styles and colours the better, the key is getting it to not look too coordinated. It's important to use different styles of frames as well. Experiment will colour and texture, don't be afraid to use bright colours. Try to pick out the colours in your feature wall through other accessories and soft furnishings displayed in the room. Patterned wallpaper can look fantastic when used on one wall in a room, with the other walls painted in hues that will complement the colours in the pattern. If you have furniture painted in vivid colours throughout the room then stick to one colour or tone for the feature wall, concentrating instead on the items which you hang on the wall rather than the colour of it. The important thing is getting the wall to fit in with the rest of the room and yet stand out in its own right. Using a large map or a map patterned wallpaper is a great way to add some interest to a room! Mirrors are great for reflecting light and colour and visually enlarging a space. Using a mixture of styles, shapes and sizes, display a number of mirrors on a wall to create an attractive feature. Books can look so beautiful when displayed together in floor to ceiling shelving. A storage solution as well as a lovely feature! Get creative and paint a mural or a design on your wall! If you are not so confident at the idea of doing it yourself you can get stencils and use them as a guide. You can even get beautiful adhesive designs that you can just stick directly on the wall, you can use a few different types and styles of stickers to create your own design. Or you could always get someone in to create you a beautiful design unique to your home. It could even be a fun group project if you rope in a few friends! A chalkboard in a child's room is a great idea. So many children love to draw and paint on walls whether we like it or not, so why not give them a wall on which they can be creative all the time! It will look lovely as well as being a source of entertainment for your kids!